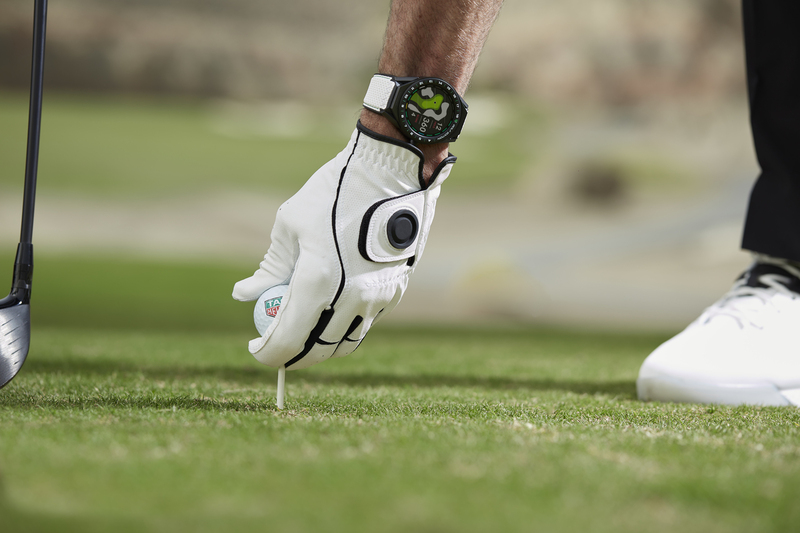 TAG Heuer has introduced a new service for the TAG Heuer Connected Modular 45 with the Golf app and watch. 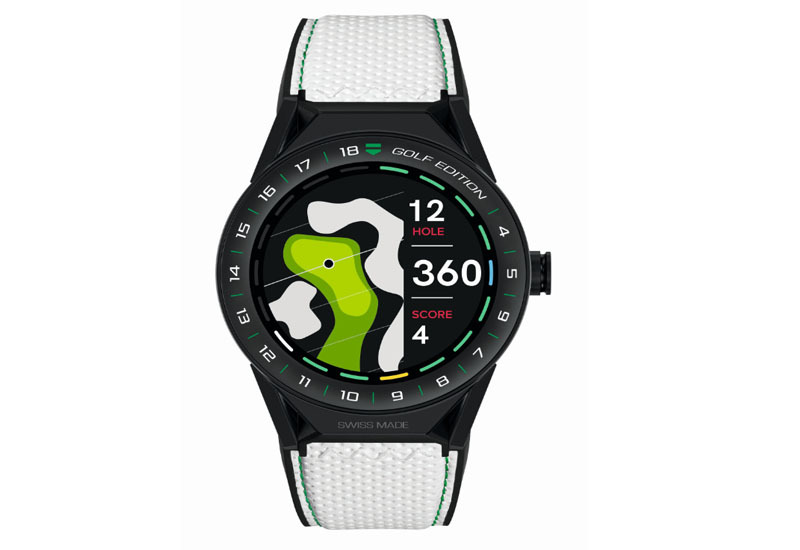 Designed with golfers in mind, the new ‘Golf Edition’ is linked to the TAG Heuer Golf app available on iOS and Android smartphones. The new edition is powered by an Intel Atom processor, with 512 MB of memory and 4 GB of storage. The touchscreen has a 400 × 400 screen resolution and 287 ppi., and is covered by a scratch-resistant sapphire crystal. It has multiple sensors, including GPS, NFC, an accelerometer, a gyroscope, a tilt detection sensor, a microphone and a vibrations haptics engine. The battery is 410 mAh with up to 25 hours battery life for normal usage. The diameter of the case is 45 mm, 13.75mm in thickness and has a module weight of 64.4g. It is made of sandblasted titanium while the caseback is black titanium carbide coating. The watch has a single push button in steel with black carbide coating and black line at 3 o’clock and a proximity sensor at 6 o’clock visible on the case back. It comes with a white synthetic leather strap with rubber or a black rubber strap and is water resistant to 50m.